A tracked spider boom lift, combined with JMS operator expertise, has been used to bird proof a building at a busy East London hospital. Estate managers at Homerton Hospital wanted to deter pigeons from roosting in an internal courtyard to protect patients from infection risks caused by bird guano. 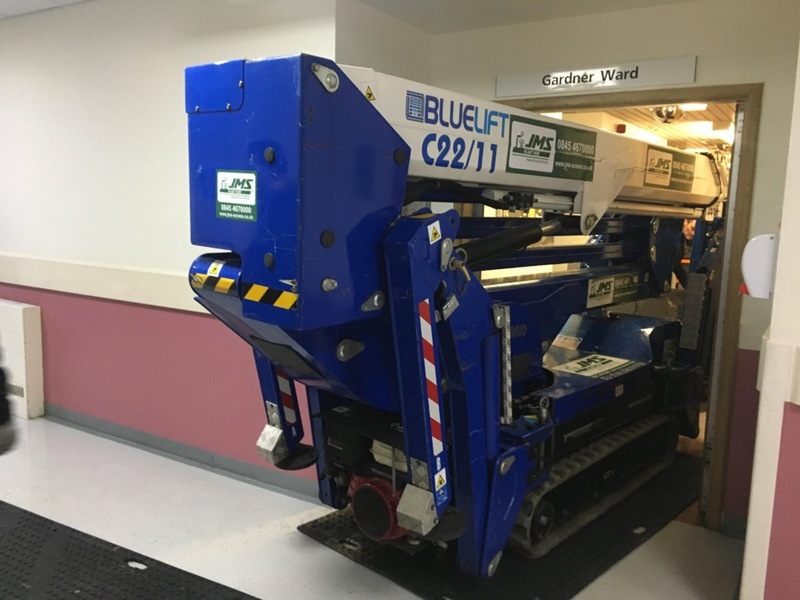 The NHS hospital’s bird proofing contractor hired a Bluelift C22-11 hybrid spider lift from JMS to carry out the work, along with a JMS operator. 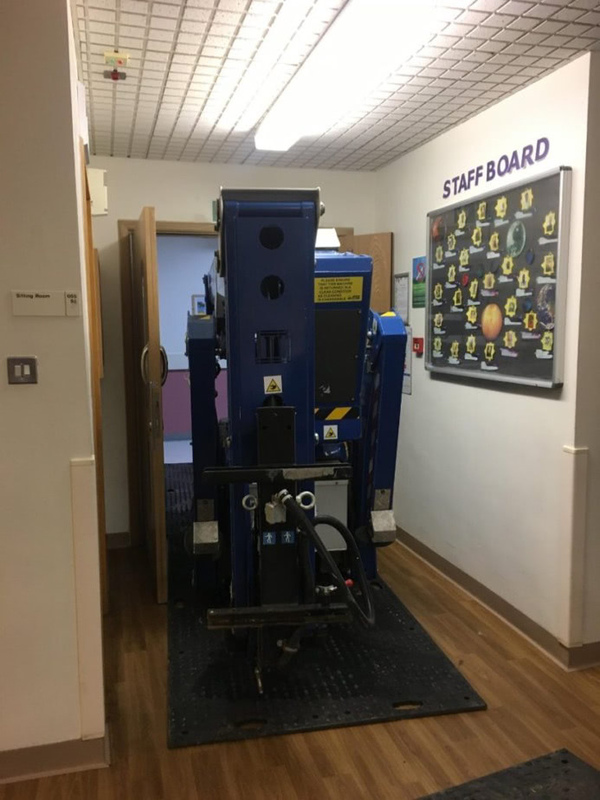 Mark Jackson, Managing Director of JMS Powered Access, said: “The only way to get the spider lift to the court yard was to drive it along internal corridors through a series of double doors. 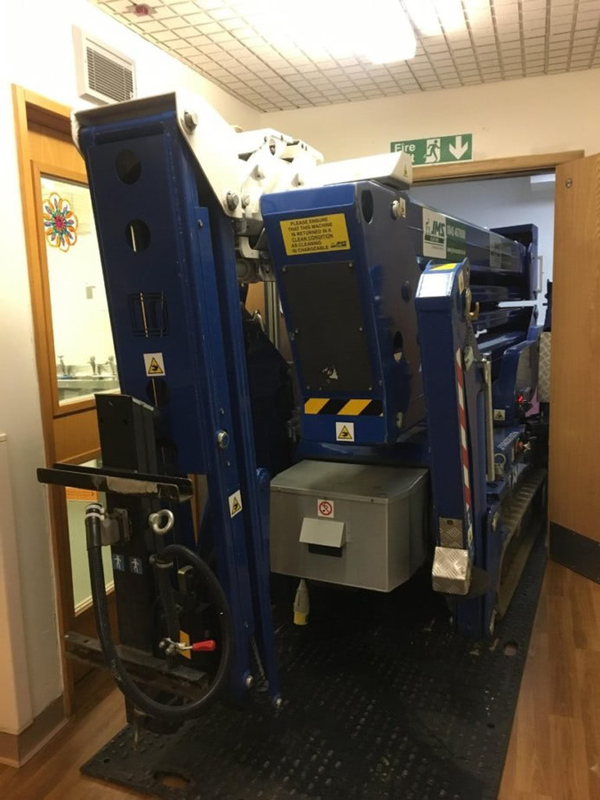 “In a sensitive, live environment like a hospital, this was quite a challenge, so the contractor used one of highly trained and experienced spider boom operators to get the machine into position. The Bluelift C22/11 Spider lift operated by a trained JMS operator. The Bluelift C22-11 spider lift is powered by an advanced lithium battery, providing long-lasting, emission-free, quiet operation. It has a maximum working height of 22m, with a maximum outreach of 11m, yet has a stowed width of just 0.91m. This made the Bluelift C22-11 the ideal choice for the bird proofing project at Homerton Hospital. The C22-11 spider lift powered by engine or powerful lithium battery – ideal for emission free operation. JMS has one of the biggest, and most modern tracked boom hire fleets in the UK. The versatility of tracked booms means they are growing in popularity. They can be operated both indoors and outdoors, as well across rough terrain and low load bearing surfaces. JMS can conduct site surveys, and can deliver a full familiarisation and handover service. As with the hospital proofing project, there is always the option to use JMS-trained operators where necessary. To hire the Bluelift C22/11 Spider lift, or to get more information, contact JMS. All powered access equipment is available for hire nationally through JMS’s depots in Harpenden, Hertfordshire, Leeds, West Yorkshire, Pinewood Studios, Bucks and Radlett. For information about tracked boom hire, or hiring other powered access equipment, contact JMS today on 0845 457 0000 or hire@jms.co.uk.